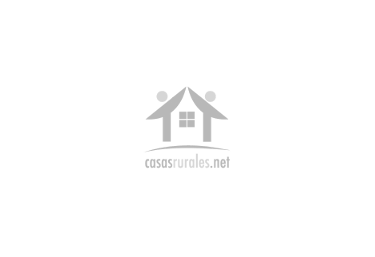 Our accommodation is located in the province of Huesca , where you will be able to enjoy the best views in the area Fiscal . It is a quiet space in which you will be able to enjoy the best comforts, in a quiet and full of charm, in which to disconnect. A living room area, with sofa and wooden table with its set of chairs so you can eat quietly in a quiet and functional. The kitchen area has a countertop where we have the home appliances basic and the home , with which to make the recipes you like the most. A complete bathroom, in which is the shower . 2 bedrooms . One of them has a double bed while the second has a pair of beds individuales. 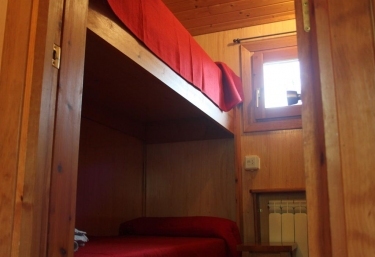 In one of the lodgings, this last room distributes the individual beds in the form of a bunk. In e l outside of each accommodation , we have a porch equipped with furniture. A spacious garden space , where we have the pool . Un restaurant and n which we will serve our best cuisine, which also has bar and terrace area. 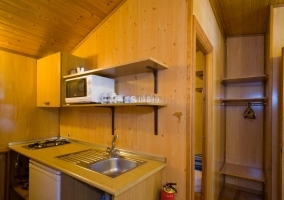 This accommodation has 25 square meters in which you will be able to enjoy the rooms that are distributed in the interior. 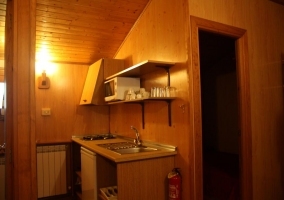 2 rooms , which are one of them matrimonial, and the second with a couple of single beds. Living room, with its sofa bed, that communicates with the kitchen and dining r with the wooden table and chairs. A porch a the entry. 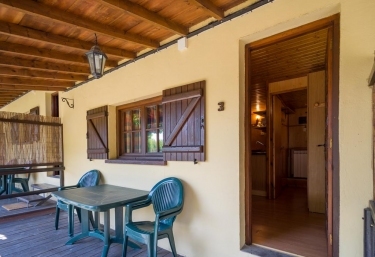 This small wooden house is perfect for you to enjoy the best comforts in a quiet environment full of charm. 2 bedrooms. One married and the second with a litter. A bathroom equipped with shower. Living room in which the space of the kitchen is integrated, and the functional table in which you will be able to eat. A porch with the best views of the green areas that surround us. Our accommodation is located within Fiscal , which is one of the most charming towns in the province of Huesca , perfect for disconnecting. It is a unique space in which nature is undoubtedly one of the predominant points in terms of tourism is concerned, and where you will be able to enjoy its wide variety of activities. Among the green spaces you will also be able to travel its most magical corners through the hiking and mountain routes with which you will have direct contact with the environment.